The Academy Award-winning biopic blockbuster "Bohemian Rhapsody" will come to Chinese rock 'n' roll fans when it opens in select theaters in China on March 22. However, the 20th Century Fox biopic, centered around the legendary rocker Freddie Mercury and his Queen bandmates, will not see a wide release in China. It will be screened on a limited basis in theaters under the National Alliance of Arthouse Cinemas (NAAC), a group formed in 2016 and operated by the China Film Archive and a consortium of theater chains supporting art-house films. In addition to receiving numerous awards, "Bohemian Rhapsody" has also gained hit status in box offices. It has already taken US$879 million worldwide, and stands as the sixth-highest-grossing film of 2018 globally, as well as the number one highest-grossing music biopic of all time. That particular genre, though, is not a popular one in China, even if the music itself is. Chinese viewers may not be familiar with the British band Queen, but most of them have heard their hit songs, especially "We Are the Champions" and "We Will Rock You," which are played frequently at soccer games worldwide, which many Chinese people love to watch. 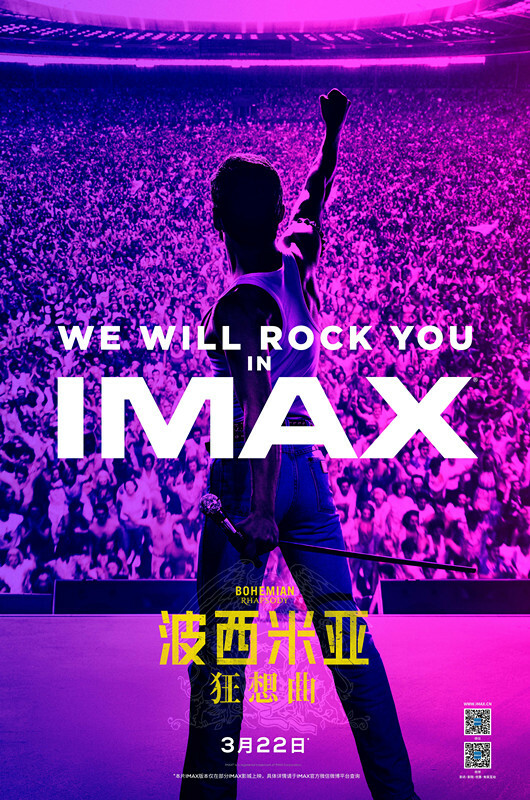 The film's final scenes, which present a perfect reenactment of Queen's performance at a Live Aid concert at London's original Wembley Stadium, won widespread praise from Chinese audiences after advance screenings of the film last weekend at NAAC theaters and selected IMAX theaters. "I cried," Chinese singer Han Hong said after watching the film. "The heart of rock 'n' roll will never die! The heart of rock 'n' roll will last forever!" The Academy Award-winning biopic "Bohemian Rhapsody" will thrill rock 'n' roll fans in China when it is released in Chinese art-house theaters later this week.